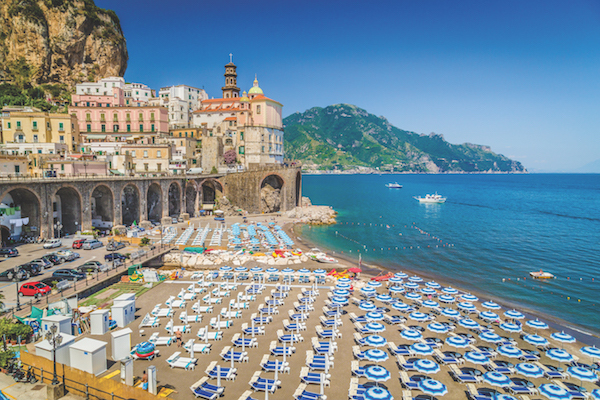 Campania is one of Italy’s most populous regions, with almost six million inhabitants. It is also one of the most visited, with the vibrant delights (and pizza!) of its capital, Naples, plus iconic Vesuvius, the chic Amalfi Coast, gorgeous islands like Capri, and historic treasures Pompeii and Herculaneum attracting tourists from all over the world. The climate is typical of sun-baked southern Italy and the geography offers everything from craggy coastline to a mountainous interior, which rises from gentler hills that stretch across the region. There is an almost infinite variety of property types, settings and prices contained within this gloriously diverse region. Campania’s interior is little-visited and is the least populated part of the region, with small towns, quiet roads and a traditional lifestyle. As you might expect, property prices here can be very low. Location-wise, you’ll benefit from pretty countryside with wild forests, golden valleys and rugged mountains, and the scenery is especially appealing around Benevento and Ariano Irpino. There are plenty of prospects here: farmhouses, village homes, rustic buildings, townhouses – restored and unrestored, old and newly built. Holiday rental prospects are limited, but you’d have a peaceful, inexpensive retreat just one hour to 90 minutes from Naples. 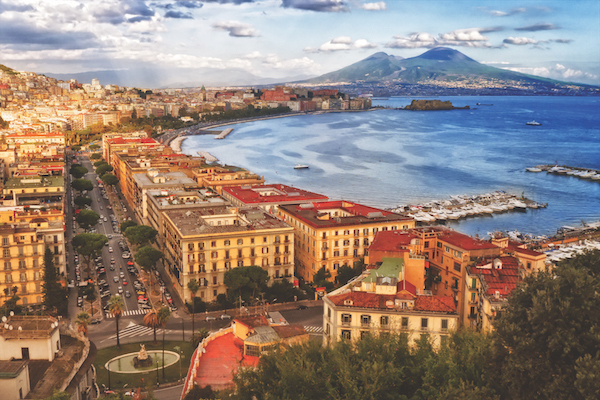 Avoid the impoverished industrial area that lies immediately north of Naples, and head west to enter a strange, volcanic landscape punctuated by craters, hot springs and steam vents – with towns like Pozzuoli prone to subsidence. The coast here is appealing (especially at Miseno), and is rich in Classical remains. North of Cuma, however, the seaside tends to be overdeveloped most of the way up to Lazio. Few tourists or property-buyers venture inland here, but towns like Capua and Caserta are pleasant, and little Sant’Agata de’ Goti is charming. A wide, fertile plain dominates the area, grazed by herds of buffalo whose milk is used for the region’s famous mozzarella. Sorrento, the most westerly point on this incomparably desirable peninsula, has been a popular holiday destination for more than a century. Sitting on a cliff edge, with wonderful views all the way across the Bay of Naples, property is almost always going to be very expensive here – though rather less so than it is a few miles further south, along the Costiera Amalfitana, one of Europe’s most beautiful – and expensive – stretches of coastline. 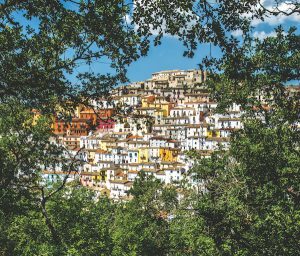 This length of steep, flower-strewn terrain, which plunges into a turquoise sea, supporting semi-vertical villages of pastel villas, attracts some seriously hefty price tags – and that’s if you can ever find something for sale. Properties here rarely even come onto the market, but if you do have the luck – and money – to be able to grab a place on this coastline, you will be guaranteed absolutely superb holiday rental returns. While the Amalfi Coast is undeniably popular – to the point where parts of it can get really quite uncomfortably crowded in summer – access to it can be relatively difficult and the terrain naturally restricts much new building, so the whole area is unlikely ever to be spoilt by overdevelopment. There are three gorgeous islands just off the Bay of Naples, all pretty easy to get to from the mainland. 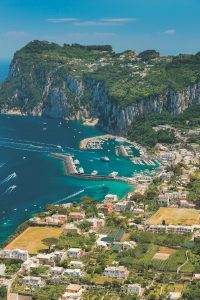 Capri is the most famous; once a playground for the super-wealthy and now a daytripper’s paradise. It’s arguably unspoilt by all the attention, and away from the main town centre the people lead fairly laid-back, traditional lives. Larger, less glamorous Ischia is just as popular as Capri but feels less crowded. It is famed for its thermal waters and abundance of spas. Little Procida is the least visited and perhaps also the least scenic. Homes are very expensive on all three, but are priciest on Capri, where there’s rarely much available to buy. Ischia tends to have more for sale if it’s an island life you’re seeking. Holiday rental returns are excellent on both Capri and Ischia, but only really so-so on Procida. Italy’s third largest city and one of the most densely-populated places in Europe, Naples is a thrilling place: colourful and exuberant, impoverished and dangerous. This is an invigorating city with great food (reputedly the birthplace of pizza) and shopping. Housing is in high demand, and property prices are high, though they offer good rental returns. Vomero and Posillipo are among the nicest but priciest areas of the city. Summer holiday rentals are good throughout Naples – you could also make decent returns from long-term rentals (such as student lets). With its international airport manageably close to the city and good transport links, access is extremely good if you want to visit often. South of Salerno, the coastline loses some of its steep drama, but it compensates with some great stretches of sand – and less crowds. Inland, there are miles of hill country, scattered with unspoilt villages and towns, many with distant sea views. This whole area, largely the National Park of Cilento and Vallo di Diano, has been growing in popularity with foreign buyers. It’s an area of glorious landscapes; a beautiful area, full of southern Italian character. Prices are generally reasonable and there are lots of property options, including plenty of restoration projects. Fleur’s Homes in Campania feature has more property advice for this appealing region.